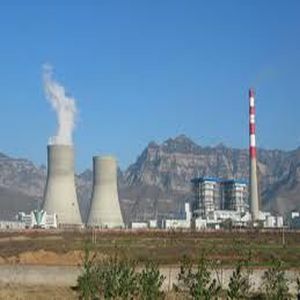 Damodar Valley Corporation (DVC) is planning to build a Thermal Power Project in Raghunathpur block in Purulia District of West Bengal between 2012-2013. The total land requirement for Phase I and Phase II of the project put together 1820 acre. About 309 acre of land has been already acquired. The Left government had acquired around 1,000 acres in Raghunathpur for the power plant in 2007. Two of the four 660MW units have already been built on the land. Another 51 acres was acquired for a water-supply corridor from the Panchet dam. Of the 1,600-odd people from whom these 51 acres was acquired, 1,000 are refusing to let the corporation work, demanding permanent jobs. Due to the land acquisition problem, water and rail connectivity are still major issues, resulting in the project running behind schedule. The project has been delayed mainly because of the non-availability of land for the construction of water pipeline for the project from Panchet Dam about 10-km from the project site. The physical construction of the pipeline faced opposition from locals who demanded jobs in addition to the compensation. 'There are about 2, 200 land-losers at the moment and their number is going to increase as land is acquired for ensuring water connectivity and rail connectivity,' said J.K. Singh, Chief Engineer of the project, adding that it was not possible to provide jobs to every land-loser (1). Project Details The thermal power plant will be 1320MW (660x2) capacity. The water requirement for the project will be estimated 4600m3/hr. Coal will be used as fuel. The power utility was planning to build a 10-km pipeline from Panchet dam to the plant site. For constructing the pipeline, it had run into land acquisition problems. The project is yet to acquire 400 acres from the state government for the rail corridor and township of total 2,098 acres needed for the 2,520MW project. The initial target date for commissioning of the first unit was November 2010. Due to stiff resistance from the local people for the land acquisition the project could not start. Development of Alternatives About 1,000 people are strongly demanding job opportunities from the company in addition to compensations for the loss of their land. Why? Explain briefly. Protesters was demanding jobs against land which was acquired from them by the government for the thermal power plant.